Big Bazaar has announced a limited-period sale to offer discounts across products. 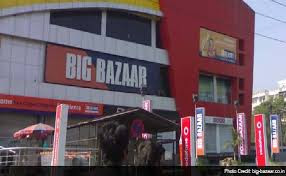 Called Big Bazaar 'Mahabachat', the five-day sale will open on Saturday, August 11, the retailer said in a statement. Hypermarket retail chain Big Bazaar, operated by Future Group's flagship company Future Retail, has presence in over 100 cities across the country. Future Group stores Brand Factory, Central, Easyday, Nilgiris, Heritage Fresh and Foodworld will also be a part of the five-day Mahabachat sale, according to the company. Big Bazaar has also announced cashback up to Rs. 1,200 on shopping of Rs. 1. Big Bazaar said it will offer "mega bargains across all categories during '5 Days Mahabachat' to households" across the country. "These five days will showcase a wide assortment of offers across categories." 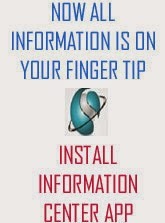 where you will get the best deals on best products. 2. Under the Mahabachat sale, customers will be able to avail a cashback of up to Rs. 1,200 in digital wallets Future Pay Wallet and Paytm under certain conditions. 3. Big Bazaar will also offer a 10 per cent discount on purchases made using State Bank of India (SBI) debit cards. 4. The cashback offer on digital wallets and the discount on shopping through SBI cards will be applicable on purchases worth a minimum Rs. 3,000, according to the company. 5. Big Bazaar has announced services such as home delivery, convenient check in/check out for heavy products, m-PoS (mobile Point of Sale) and pre-booked fast-billing slots to "ensure a smoother shopping experience". "This year, we have not only come up with greater offers but have also upgraded our preparations significantly so that our customers can enjoy a hitch-free shopping experience," Big Bazaar CEO Sadashiv Nayak said.